Pacific bluefin tuna are hurtling toward extinction, and a meeting of the minds in Ecuador this week may be their last hope. The meeting, set for Guayaquil, the county's largest and most populous city, is bringing together representatives from member countries of the Inter-American Tropical Tuna Commission (IATTC), the organisation that governs management of Pacific tuna fisheries. One of their main goals: to figure out how to prevent one of the world’s most valuable fisheries from collapsing. The past decade has been a disastrous one for Pacific bluefin tuna. Listed as ‘Vulnerable’ by the International Union for Conservation of Nature (IUCN), its populations are at just 4 percent of what they were before commercial fishers began capturing them by the thousands. Now, according to a recent study, only about 40,000 adult Pacific bluefin tuna remain. The Ecuador gathering, to be held from June 29 to July 3, is a chance for countries to agree to enact catch quotas that could save the Pacific bluefin. Failure to do so could lead to their collapse. Conservation groups are hoping that a lower, science-based quota will be enacted – even lower than last year’s quota, which they say currently exceeds scientists’ recommendations by at least 50 percent. But with many countries laying claim to a massive shared resource, controlling the catch is easier said than done. For these large, torpedo-shaped predators, the problem begins at home ... or lack thereof. 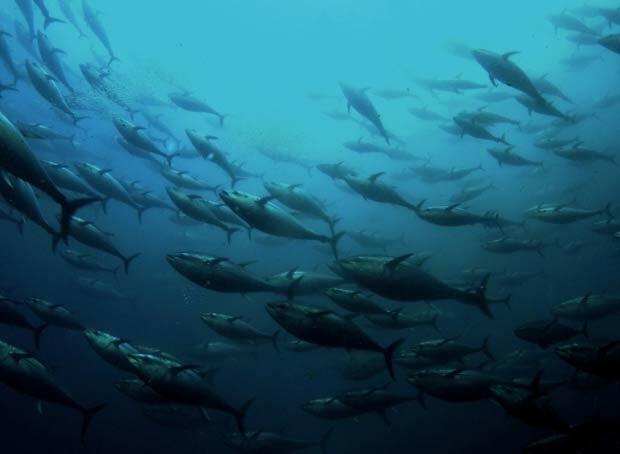 A migratory species, the fish spawn off the coast of Japan, where demand for their meat is highest, and then make a massive loop across the Pacific Ocean to the eastern Pacific. But this can cause problems – when the food moves of its own accord, who does it really belong to? “They don’t respect country borders,” says Bello, calling the species a classic example of the "tragedy of the commons" – every country will fish with abandon until the species is wiped out unless better regulations are put into place. “This means that the actions we take in the oceans have to be connected across countries,” he adds. 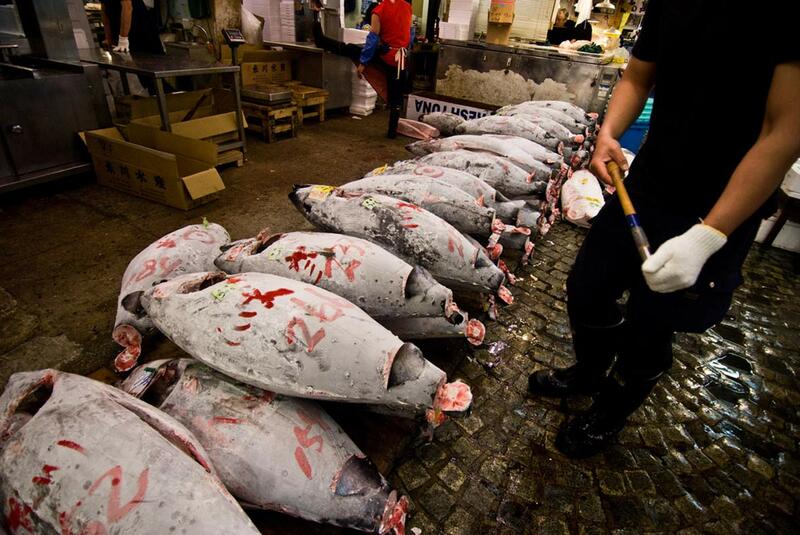 Even so, overfishing continues, mainly to supply Japan’s sushi market, where just one fish can sell for a whopping $1.76 million, and in Mexico, where juvenile fish are often caught and transported to tuna “ranches” to grow to market size. More than 90 percent of the Pacific bluefin tuna caught today are juveniles, meaning they have yet to reproduce and help sustain the population. Other countries like South Korea and the United States also fish for Pacific bluefin, which is considered a delicacy in sushi restaurants around the world. Combined, the pressure is simply too much for the species. But scientists hope that this week’s meaning will mark a new era. Last year, the 2015 quota was set at approximately 3,300 tons per year (it was officially set at 6,600 tons over 2015 and 2016 combined). Now, scientists are urging the IATTC to set the 2016 at 2,750 tons (including any fish that are thrown back or accidentally caught, which are currently not counted in the total catch). The difference may seem small, Bello says, but it could mean the difference between survival and collapse for the Pacific bluefin tuna.